Universal Muffler – Not a direct fit. Some adaptation required. The Pro Series mufflers work on all applications ranging from street trucks, diesel pullers and RV pushers to every class of racing on dirt or asphalt. 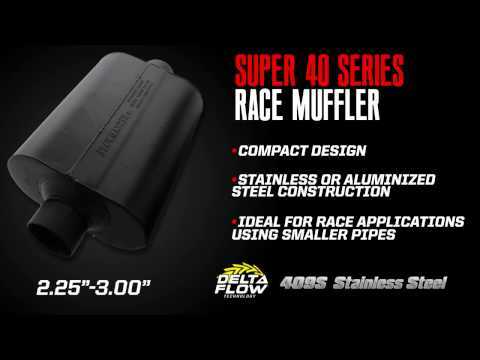 During development, at the dyno and track, the Pro Series mufflers consistently delivered performance that is equal to or surpasses open pipe systems, while dramatically reducing sound levels across the RPM range.